AMMONNEWS - Jordan's net public debt amounted to 28.3 billion dinars to the end of 2018, JD25 billion of which are government's debts (budget) and JD3.3 billion are debts guaranteed by the central government, according to statistics published on the Ministry of Finance on Thursday, similar to what is published by the International Monetary Fund (IMF) and the World Bank (WB). On reports circulated on the social platforms on a rise of national debt to $87.7 billion, the Ministry of Finance said in its monthly statement that the definition of the national debt includes the government's internal and external debts and the debts of the private sector from local banks. 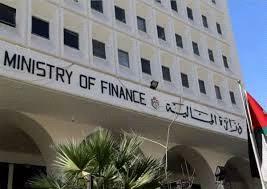 According to this methodology and to the data published on the website of the Central Bank of Jordan (CBJ) and the Ministry of Finance, the total national debt reached, until the end of 2018, about $ 89.8 billion. The Ministry of Finance said this criterion is different from its public debt bulletin, which includes debt of the central government and government- guaranteed units in line with the Public Debt Law No. 26 of 2001 and its amendments, and in accordance with international standards of the dissemination of international financial statements.